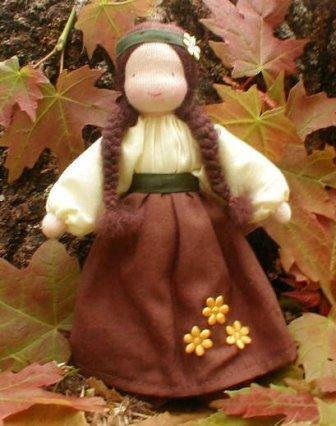 Evi dolls are handcrafted Waldorf dolls made in Brazil. 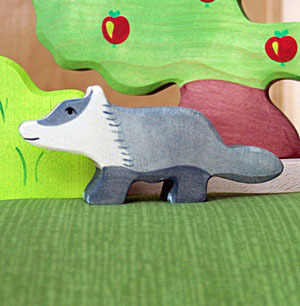 PADiLLY received a new shipment of Holztiger animals from Germany. Stop by and make a few new friends. A patch of poppies danced through my field, a merriment of color. Crimson splashed across a canvas made of ochre yellow. It twirled and spun through empty stalks and hulls of early harvest. Touched by daisies high and low, white highlights accenting color. The silhouette of a bumble bee zoomed and zigged and zagged, gaily bumping and bouncing along, carefree on an autumn day. Four black paws, they pranced along, connecting one to all. Poppies, daisies and bumble bee all answered to one call. For there in that flowery meadow scene, stood a little red fox in an empty field of beans. Create your Fall with WoolPets Dry Felting Kits. Copyright © 2013 PADiLLY. All rights reserved. 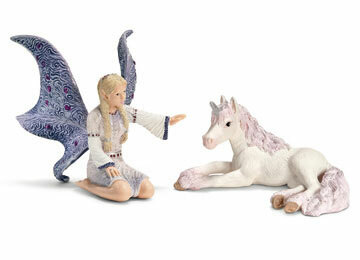 Schleich is one of Germany’s largest toy manufacturers. Their products sell in over 50 countries around the world. The company was founded by Friedrich Schleich in 1935. Schleich headquarters still reside in Schwäbisch Gmünd in southern Germany. Production locations include Germany, Portugal, Tunisia and China. 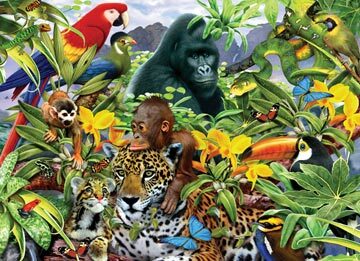 Inspiration for Schleich figures is drawn from nature, collaboration with international experts and Schleich’s most critical fans, the children. These ideas are drawn and developed into a workable design. The final drawings are sent for approval before the modelers begin. The modelers take the approved drawings and begin to form th e figure from wax. 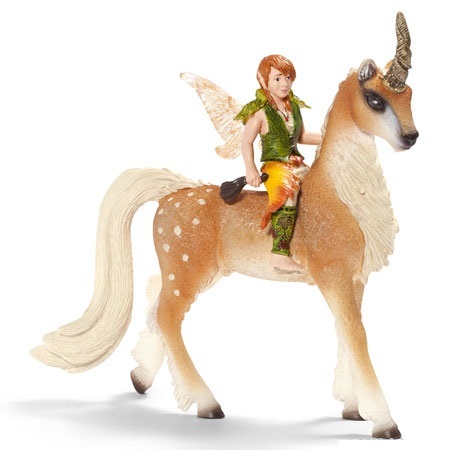 They are careful to include all the details Schleich is so well known for. Once satisfied with the figure, it is sent once again for a final check and approval. Next step is to create a resin cast from the final wax figure. Resin casts are used to create production tools. These production tools are painstakingly refined by hand until the production pattern for each figure meets the high quality requirements. 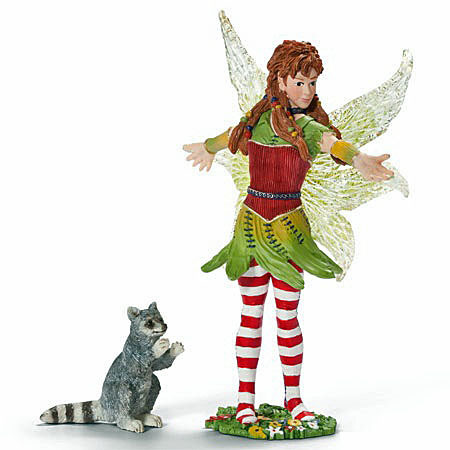 Schleich figures are then hand painted making each figure unique. Jigsaw puzzles made their debut in 1760. John Spilsbury, a London engraver and map maker, is credited with inventing the jigsaw puzzle. He laminated a map onto a sheet of hardwood and cut out the various countries. Jigsaw puzzles were primarily an educational tool, used to teach British children geography. By the end of the 1800th century, puzzles were being produced on plywood and were displaying more than maps. The images were laminated on the front of the board and the pieces were laid out on the back in pencil. These pieces were then cut using a saw. Puzzles were created this way for the next hundred years. Cardboard puzzles come on the scene in the late 1800’s but were mostly created for children. The new century brought another change to puzzle production. The pieces were now die-cut using large metal cutters and hydraulic presses. Puzzles were becoming affordable for the masses. Both wooden and cardboard puzzles could be made with the new technology. The 1920’s and 1930’s were the golden age for jigsaw puzzles. They could be found in weekend parlors and on kitchen tables. Much was discussed over a good puzzle. 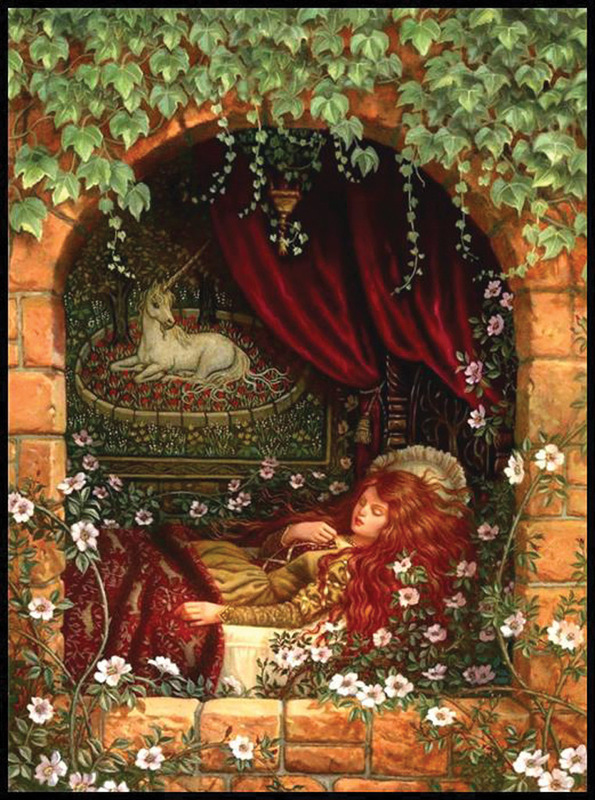 Puzzles depicted serene scenes and were marketing tools for various companies. A large boost to the puzzle industry was the “weekly”. Starting in the September, 1932, a new puzzle was released every week. The puzzle was a favorite past time during the Great Depression. The new technology and inexpensive material meant a puzzle was a good deal of entertainment for a small price. The puzzle was also “recyclable”, being used over and over. Puzzles are a solitary or a social event. They promote spending time together and a feeling of accomplishment when finished. Puzzles are still educational, reduce stress and help engage the mind. Grab a puzzle and become addicted to an age old game of what goes where. HABA marble runs are an excellent study in Kinematics – the study of motion. Release the marbles and watch their progression. HABA‘s interchangeable blocks allow creativity in track design. Connect long ramps to rolling hills and looping tracks. HABA even offers musical elements. The smooth surfaces of wooden tracks and glass marbles reduce the friction so gravity can work at its best. Fast is fun and so is slowing a speeding marble or sending it looping. Experiment. How slow can it go and still make the loop? How fast can it bank the next corner? Redirecting elements let the marbles decide their ride. 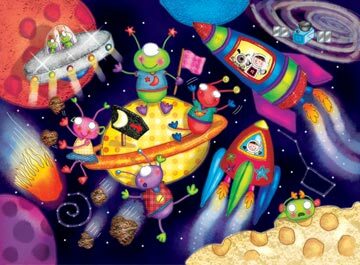 HABA has a myriad of interesting extension sets, all compatible with each other. Creating and testing new track designs is a study of basic physics. Release a marble and observe Newton’s first law – objects in motion stay in motion. Understand the effects of friction and gravity on the marbles as they speed, loop and curve down the run. Experience the force when they knock down dominoes. Watch the energy transfer when they collide with resting marbles. HABA marble runs entertain and educate all ages. 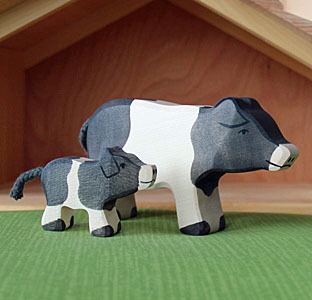 Holztiger wooden animals and figures are known for their whimsical expressions, smooth finishes and minimalistic design. The end product that we hold in our hand is charming and captivating, but what is Holztiger? We want to know more. Holztiger headquarters are located in Guester, Germany. Guester is a quaint village located in the north of Germany, about 40 minutes east of Hamburg. 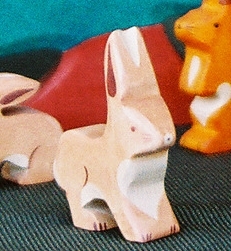 Holztiger figures begin here – as an idea. Where do these ideas come from? Children learn from the world around them. 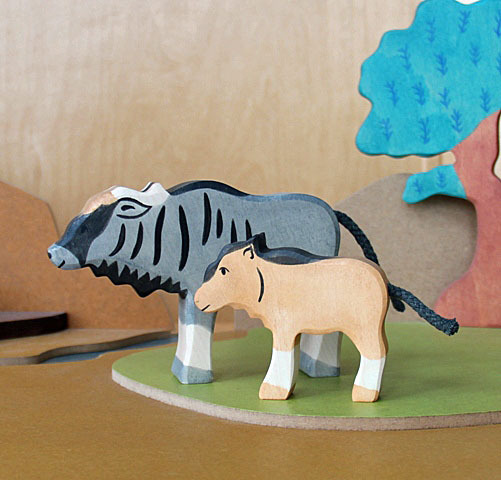 Holztiger designers create figures children will encounter in their daily lives, communities and books allowing children to relive what they have seen and experienced in real life and nature. 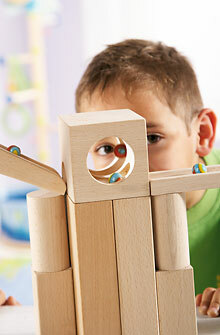 This cycle of observation, interaction and play develops understanding, creativity and problem solving skills. Holztiger designers are careful to keep the figures minimalistic to encourage imagination. Vibrant colors are chosen for Holztiger figures because they are known to awaken a desire for exploration and discovery. Add the Holztiger friendly expression and you have a winning combination. How do you make a drawing come to life? After the conceptual phase, a contour of the figure is made. These contours are stamped onto thick wooden boards. These boards are native maple and beech wood from forests in southern Germany. Holztiger lumber suppliers are certified by the German government and adhere to sustainable management of their timber resources. What does this mean? Sustainable management creates the ability to keep a system running indefinitely, nourishing the needs of the present and future generations and maintaining economic viability without depleting resources. Simplified, they are tree farmers planting and harvesting trees so there will be trees to harvest tomorrow, forever. After stamping, the figures are cut out with a saw. A number of different steps follow to smooth off the rough surfaces and edges. The wood is then primed and sanded one last time to its satin finish. 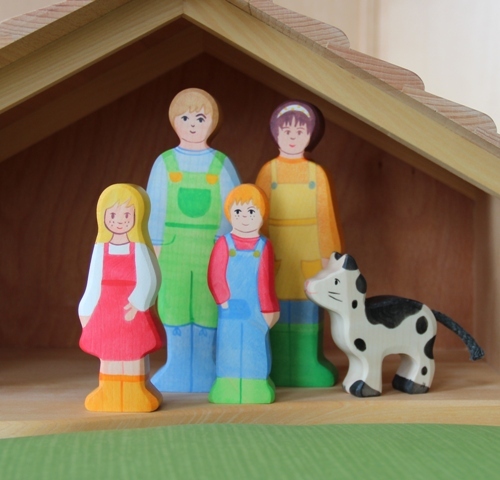 Next, Holztiger artists hand-paint each figure with water paints. This i s where the animals start taking on a personality. Water paints are not only environmentally and people friendly, they allow the natural grain of the wood to show through. Holztiger suppliers for paints and varnishes are all German manufacturers. Their products conform to toy safety standards and are subjected to regular inspection. All paints, varnishes and wood stains are water-based and free from harmful and toxic solvents. To ensure the figures are resistant to perspiration and saliva, each figure is subsequently hand-painted with a final protective coat of water lacquer. Our Holztiger is almost ready. 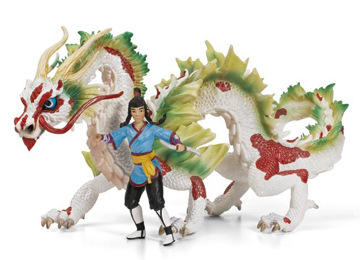 The Holztiger figure has its smooth satin finish accented with vibrant-colored water paints and a friendly expression all sealed under a protective water lacquer finish. What could be missing? The Holztiger logo, that’s what. Once the Holztiger logo is stamped on the figure, it is sent to quality control for one final test. Next stop is your playroom. Holztiger – from large forests to small hands. Holztiger has added some new faces to their line-up. 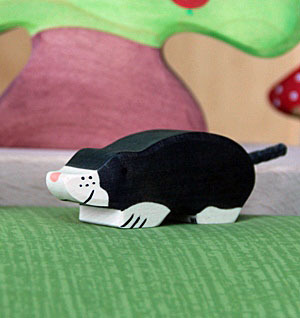 From the large bison and her calf down to a new mole and mouse, Holztiger stayed true to their whimsical design and high quality products. Click on by and meet the newbies. Always happy, always friendly and sure to bring a smile – Holztiger. Shark Tank – Did you know? 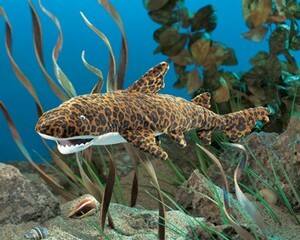 Sharks are fish and have been around for the past 450 million years. Yes, they predate the dinosaurs. There are more than 360 described species, many of which are endangered due to sport fishing. 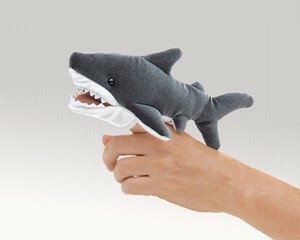 You’ll never need to reset a broken bone for your sharky friend. Sharks don’t have bones, instead they have a cartilage frame which is light and very flexible. Sporting 5-15 rows of teeth they sound like a dentist’s dream, but their ability to grow new teeth (20,000 in a lifetime) won’t provide shark dentists with much to sink their teeth into. 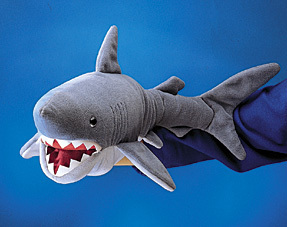 When frightened, sharks swim in a figure-eight. If the shark next to you hunches, lower his pectoral fins (belly fins) and starts swimming in zigzags, you might want to excuse yourself and head for the beach towel – he is going to attack. When the shark on your beach forgets his manners, give him a sharp blow to his snout, gills or eyes. They don’t like to work too hard, so if you fight back they usually leave. Never pull your shark backwards, they will drown. Their gills only work one way. Whale sharks are the largest known fish usually growing to some forty feet, but they don’t reach puberty until age thirty. Baby sharks are called pups and whale sharks can have 300 pups at a time. No worries – the babies are on their own as soon as they hit the water. Sharks have very keen senses of smell, hearing and vision. But they are also able to detect the electronic fields of other living things from miles away using a electrosense system. Pretty snazzy tool when you are hunting for your next meal. Some have light-emitting organs called photospheres which are used to attract food or ask another shark if they would like to go on a date. Not your type? Pull out a magnet. Very strong magnets (and other rare earth elements) repel sharks. It is believed the shark receives a small shock if they get too close. While they don’t make the nicest pet for your backyard pool, sharks are amazing animals. Having evolved into the world’s greatest predator, sharks keep our oceans in balance.